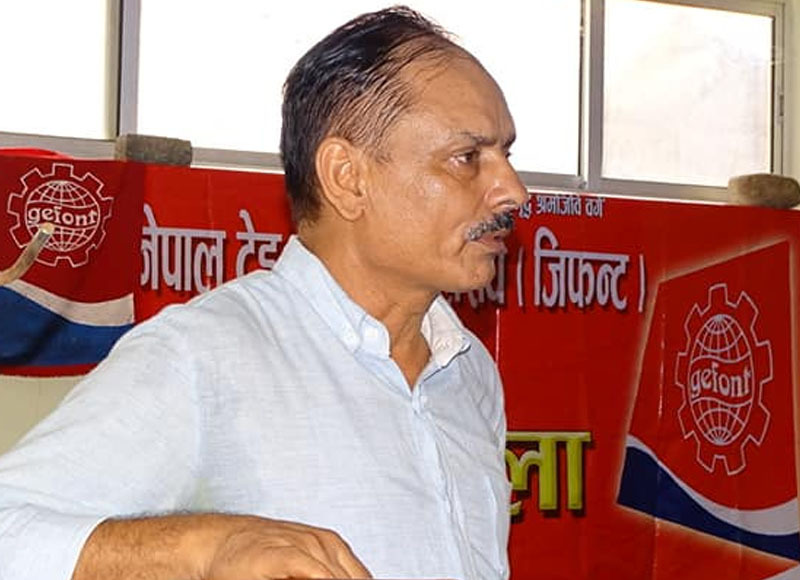 Speaking in the Mass Gathering organised by Rupandehi Tilottama Municipality, Vice President of GEFONT Kamal Gautam said that “ the municipality should arrange residence facility to houseless workers, for which registration of workers and identity card distribution is necessary. ” He also informed that GEFONT is working to cover informal sector workers by social security. Similarly, GEFONT Secretary, Damodar Sapkota briefed about GEFONT solidarity fund and social security sund. Meanwhile, GEFONT ProvinceNo. 5 President Hari Karki stressed that the GEFONT Municipality committees should initiates to solve the local labor issues locally. On the occasion, Karki also informed about GEFONT Solidarity fund worth 1 million to provide financial assistant to the member for the treatment of kidney implants, heart disease, cancer etc. The Gathering has formed 9 Members GEFONT Tilottama Municipality Committee under the presidency by Keshab Gautam.